Are you looking for romantic proposal ideas in Dubai? Popping the big question and asking that special someone to spend the rest of your lives together is definitely a momentous occasion. It can be nerve-wrecking and hard to think of the best way to propose to your partner. You will always remember where you were and what you were doing when you share the romantic story of your engagement with friends and family. 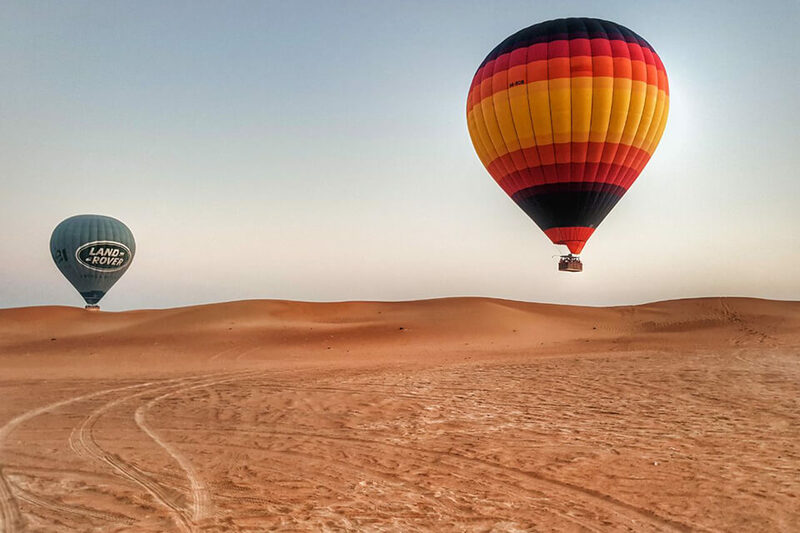 Although you may struggle to find the right words, sometimes actions speak louder than words, and a hot air balloon ride is the perfect activity to start a new journey together. 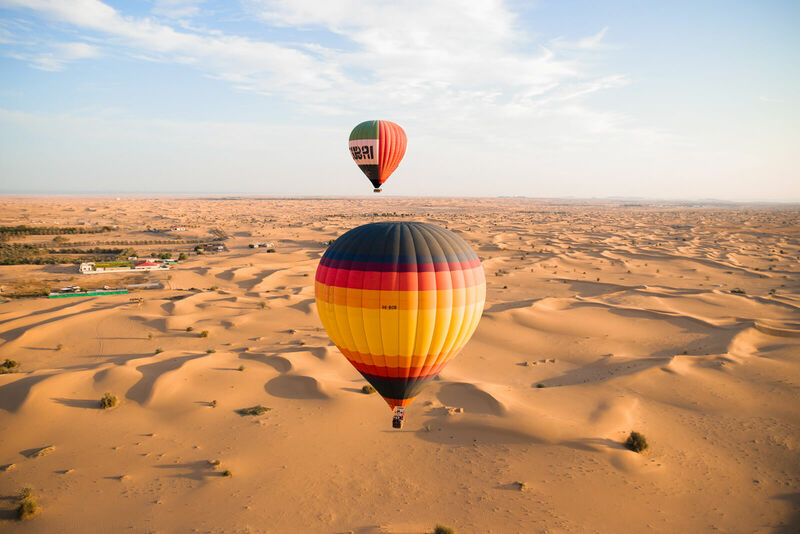 If you need a little help with proposal ideas, here’s why a hot air balloon ride in Dubai is the perfect romantic activity for a proposal. In children’s story books and movies, Hot Air Ballooning is often associated with following childhood dreams. 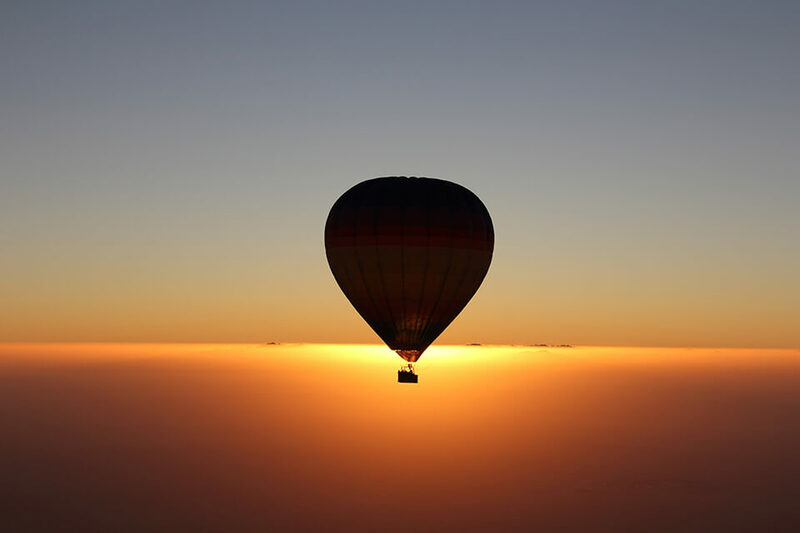 Flying in a colourful balloon at 4,000ft is symbolic of happiness, adventure and freedom. It’s almost like you are breaking away from reality and experiencing the world (and desert) in a new and exciting dream-like way. As you (quite literally) float on cloud nine over the sand dunes, this is the dream proposal scenario! When you plan the proposal, you will probably want it to be something extraordinary – an unforgettable experience for both of you. Waking up before sunrise to head out the city to hop into a balloon basket is definitely an out of the ordinary morning. New experiences enjoyed together are great bonding experiences for couples. 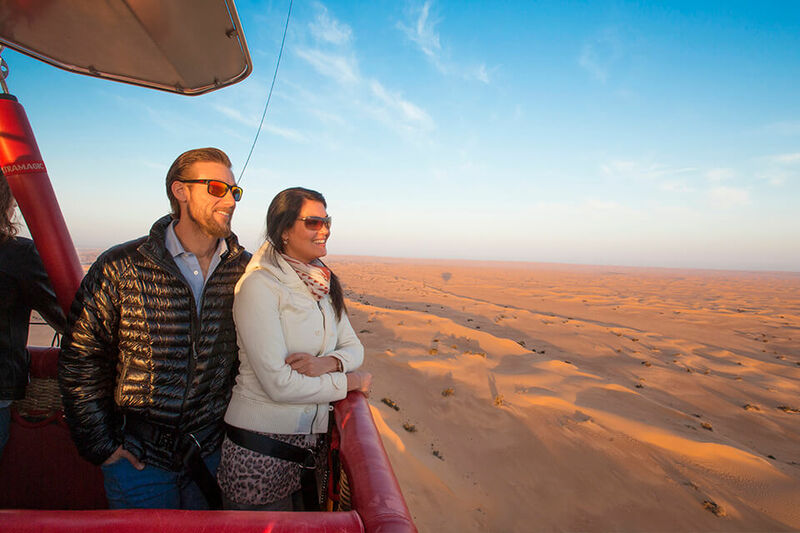 A hot air balloon ride in itself is a special occasion – proposing mid-flight makes this once-in-a-lifetime experience even more magical. Experiences like this are not easily forgotten and make memories which last a lifetime! Sunrise is one of the most romantic times of the day. There is something special about staring into the horizon watching the sky light up in different shades of oranges and pinks which brings on a warm and fuzzy feeling. Floating at 4,000ft watching the Arabian sunrise slowing rising beyond the horizon of the Hajar mountains in the backdrop is even better. You probably want to document this significant moment in your love story. 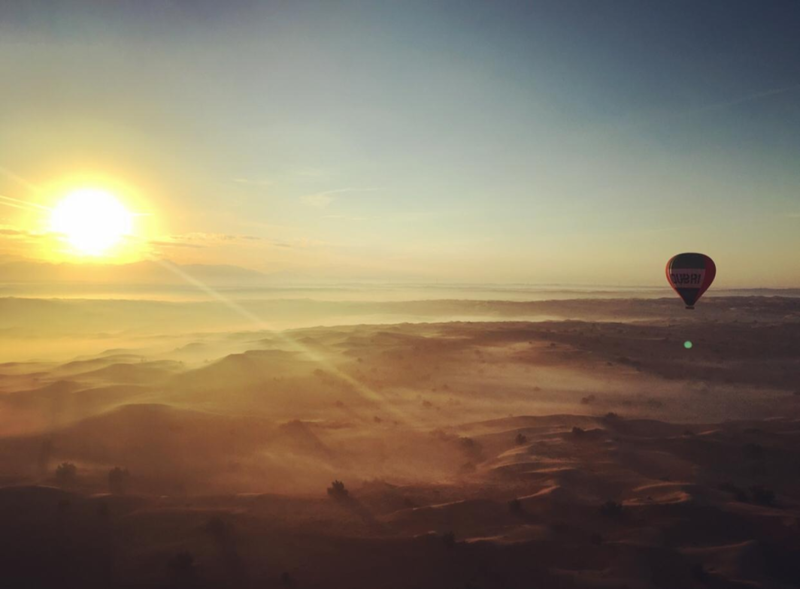 Hot air ballooning as the backdrop of your engagement photos promises the most incredible photo opportunities to remember the special moment by. 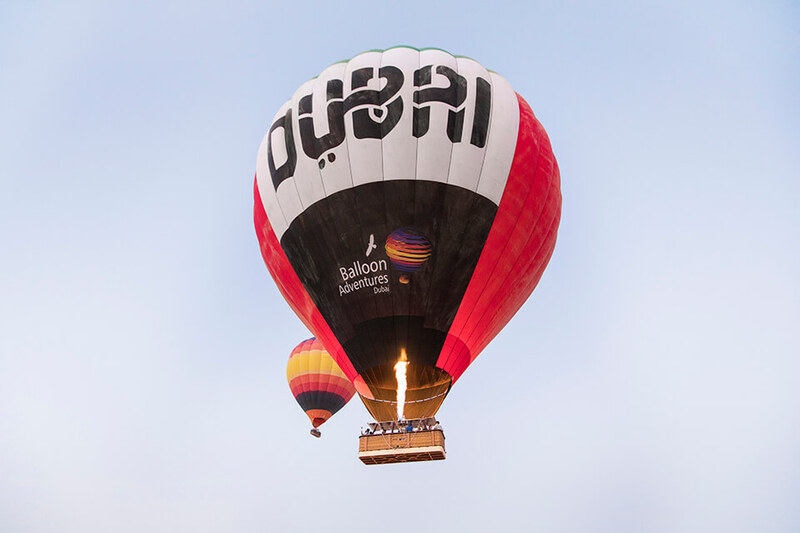 All our hot air balloons are equipped with GoPros which capture the entire flight on video. We have a 100% ‘Yes’ rate at Balloon Adventures and have enjoyed being part of many couple’s happily-ever-after love stories. 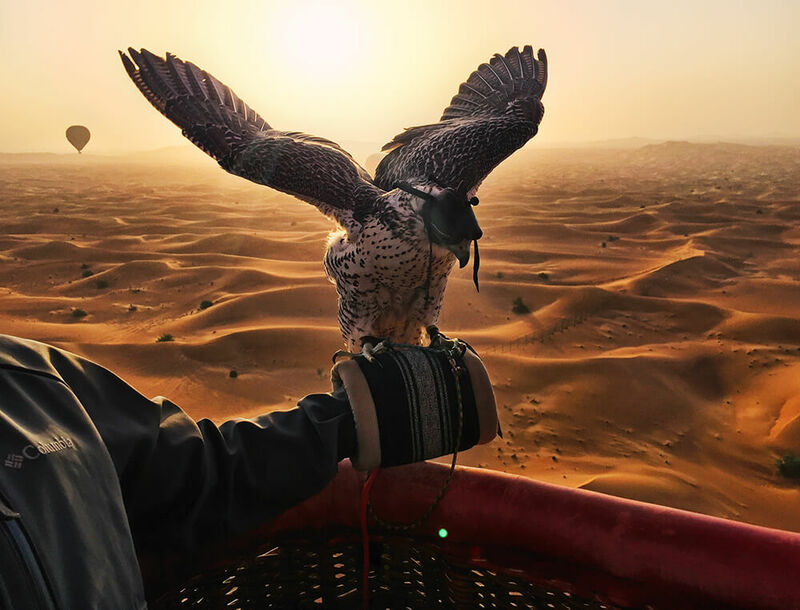 We try to make the occasion extra special by customising the experience even further with things like ‘Will you marry me?’ banners on take-off and private romantic breakfasts in beautiful desert settings. So, while you think of the words you will use to propose to your loved one, leave the once-in-a-lifetime experience planning to us – after all, it is our speciality! Contact us to arrange theses personal touches.